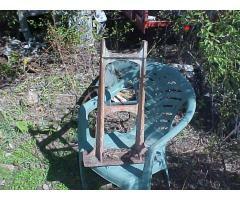 Platform base for an old GRS model 2A semaphore signal in good used condition. 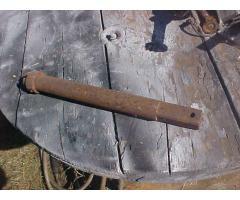 Heavy cast iron piece, shipping cost unknown as it is not boxed up at this time. Had planned to use this for a restoration but never got around to it. A hard to find dwarf semaphore signal part. Iron in good condition. Salvaged out of a damaged semaphore signal bearing. One inch square opening. 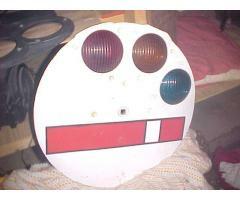 Last picture shows the train order mechanical signal bearing this was used with / in .